A group of awful teenagers go to a cabin in the woods to celebrate President’s Day. There, they unknowingly summon the corpses of the former presidents, and have to resurrect John Wilkes Booth to help kill the undead. Presidents Day opens with some of the most obnoxious teens ever, and I’m using the term “teens” very loosely here. One character, Brett, speaks with a high-pitched voice, sports a man bun, yells “yasss”, calls his nerdy friend a “queer”, and offers up his sister as a sexual prize to one of his other friends. I don’t think I have ever hated a character as much as this guy, and he’s played by Jud Zumwalt, one of the film’s writers, which is shocking because I honestly couldn’t figure out what the guy was going for with this character at all. The rest of the cast is a bit better, but the script never allows them to break out of their stereotypes because the humor is based on the tropes of African Americans, lonely gay nerds, and slutty girls, to name a few. The film runs with tongue planted firmly in cheek, and doesn’t seem to care who it offends. It even breaks the fourth wall at one point. If anything, I have to say that Presidents Day is competently shot and edited. The gore is decent, but there’s nothing special about it. At one point, though, a guy gets shot, and his reactions don’t match up with the blood or the squib explosions, so that one looked really fake. The thing is, I can’t tell if it was intentional, or just a result of an inexperienced crew behind this low-budget film. That’s one thing to keep in mind: Presidents Day is a low-budget comedy with its fair share of problems, but it does have an amusing premise that actually works for the most part. Most of the jokes land when it comes to the presidents, and a lot of the little homages to other films – namely Evil Dead – stick out, and help cement what the filmmakers were shooting for. 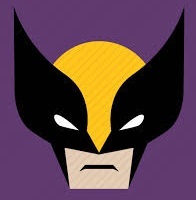 That said – my God – Brett is absolutely atrocious here. I groaned and wept during every painful second he was on-screen, which was a lot as he is the male supporting actor in the film. The alpha male is played by the film’s director, David Zuckerman, and he does a decent job wearing both hats of actor and director. Presidents Day showcases a pretty competent film by B-movie standards. With a better script, and even some better actors, this could have been a lot more fun. It does drag a bit in the third act, so much so that I was left wondering if it would ever end. Still, though, I laughed a number of times at the silly jokes, I cheered over a death or two, and the girlfriend has a goofy, fun story arc that I really dug. She broke the fourth wall as her clothes were falling off, and that bit left me chuckling pretty hard. 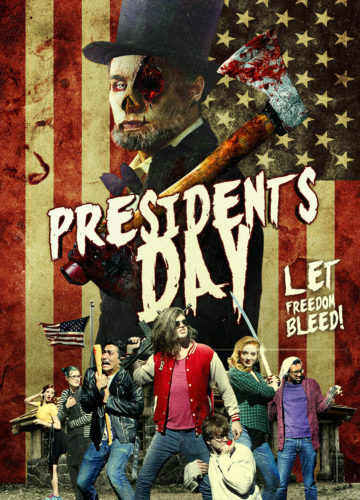 Presidents Day definitely won’t be for everyone, but if you like low-brow horror comedies with small budgets, and the plot sounds amusing, then give it a watch. Presidents Day (2017) is available digitally June 6th, 2017 on Amazon, iTunes, Google Play, Vimeo, Xbox, Steam, Vudu, and YouTube. It is also available on DVD exclusively on Amazon MOD on June 6th, 2017. Cinefessions was provided a digital copy of Presidents Day for review purposes by Brain Damage Films.